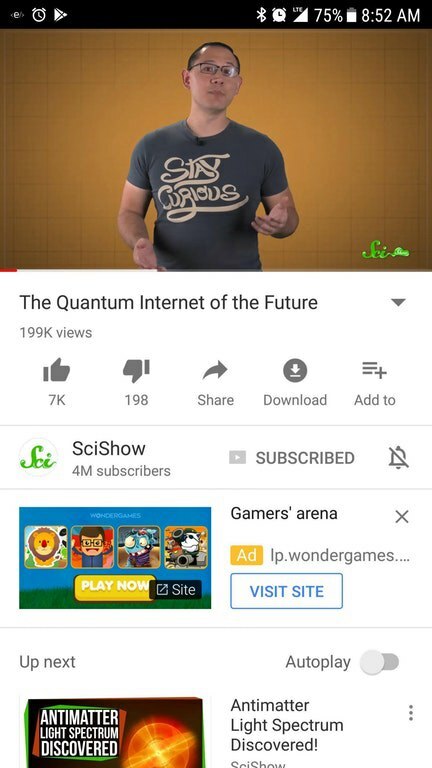 Several screenshots with ads have been published on Reddit. The text of Google’s comment on the issue is also available there. The company says, Youtube Red is free only of ads served by Google itself, and only in videos. Content creators can embed different types of ads and promotions in their videos. Besides, ad-free videos are not the only feature of Youtube Red. It includes several more options and advantages compared to the free Youtube. We think, that while nobody expects Google and Youtube to fight and ban any promotional activities of video bloggers, some types of ads should not be found if the ad-free experience had been promised. Yes, a vlogging star can wear a branded t-shirt or recommend certain products, but the "print ad" from this screenshot may look like something you’ve paid to get rid of. What’s worse, there are complaints in the Reddit discussion on an ad in a video, and that’s exactly what Youtube Red promises not to show. While Google could be formally right, it does some wrong things by not matching users’ expectations. First, it compromises the idea of paid subscriptions instead of ads as a way of content monetization. Second, it calls into doubt its own initiative of blocking "bad ads" in the Chrome browser. What if it would only control some ads, and others would do whatever they please? We hope Google would consider these questions. And in the meantime, we recommend people use a good ad blocker if they don’t want to see ads.